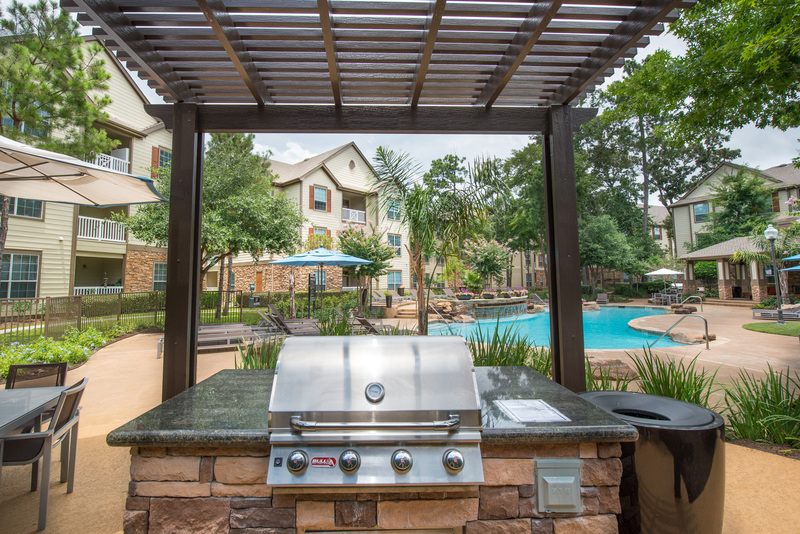 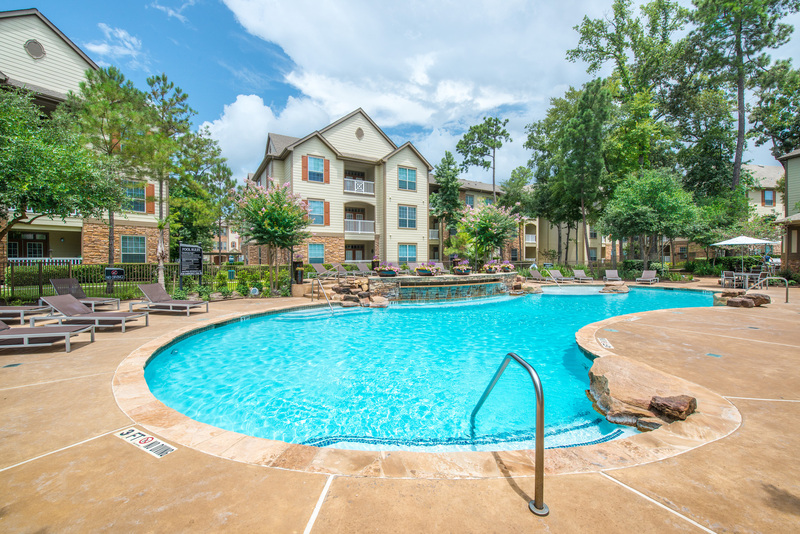 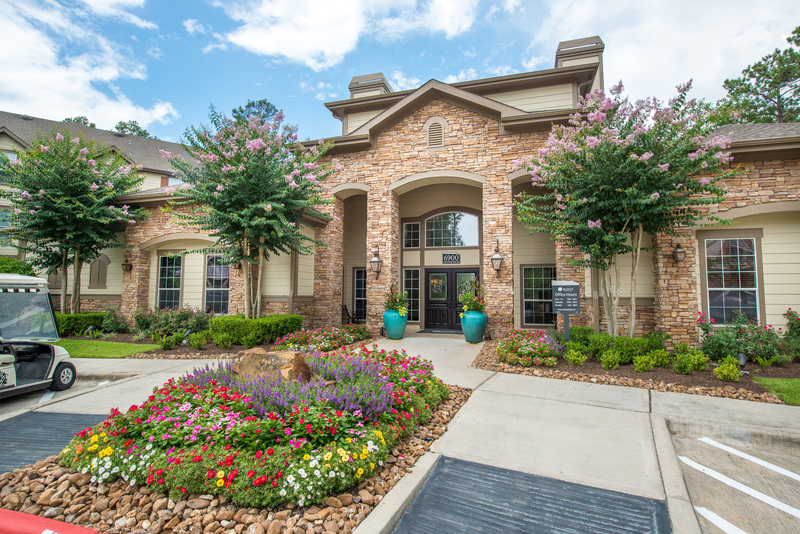 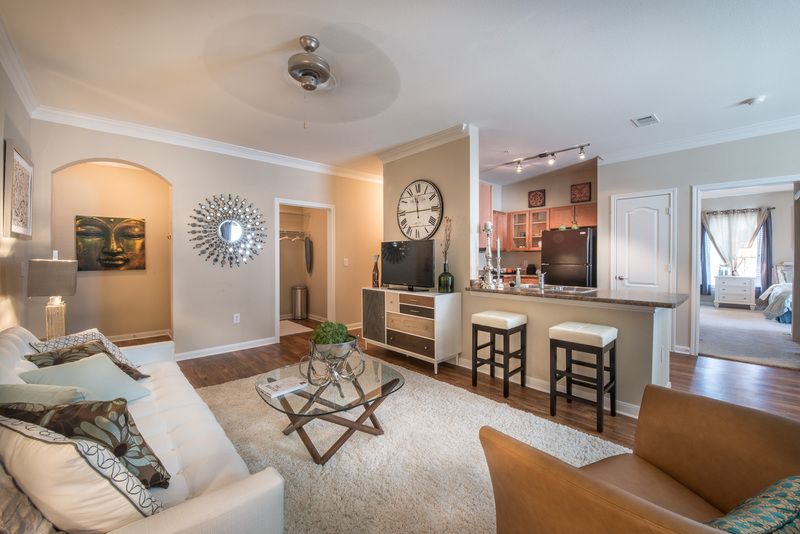 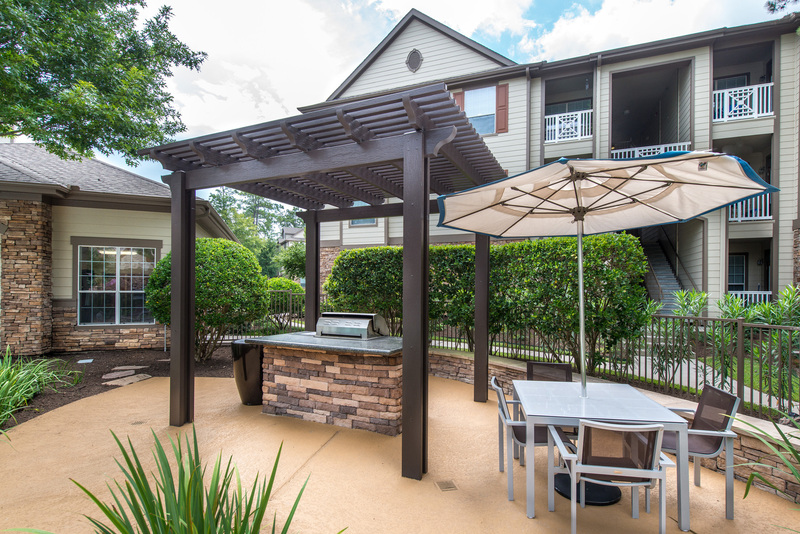 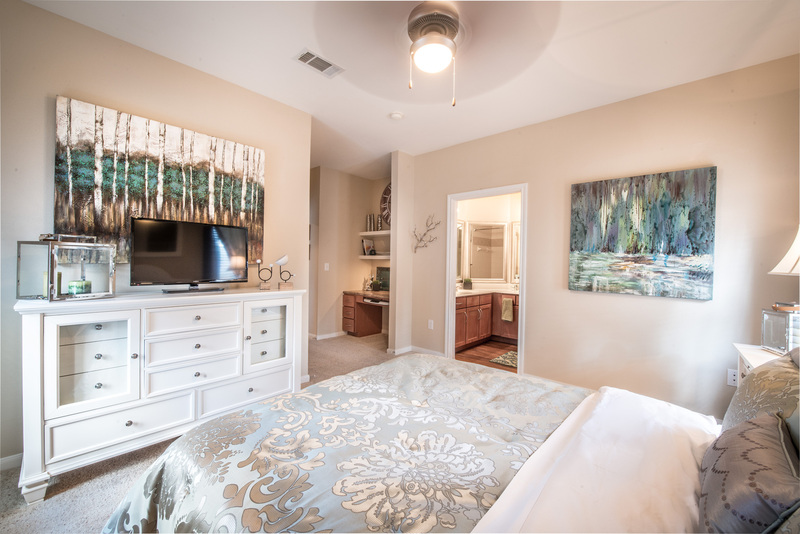 Among the forested groves of The Woodlands, TX, Avana Sterling Ridge elevates the standard for apartment living with pet-friendly floor plans and first-class amenities. 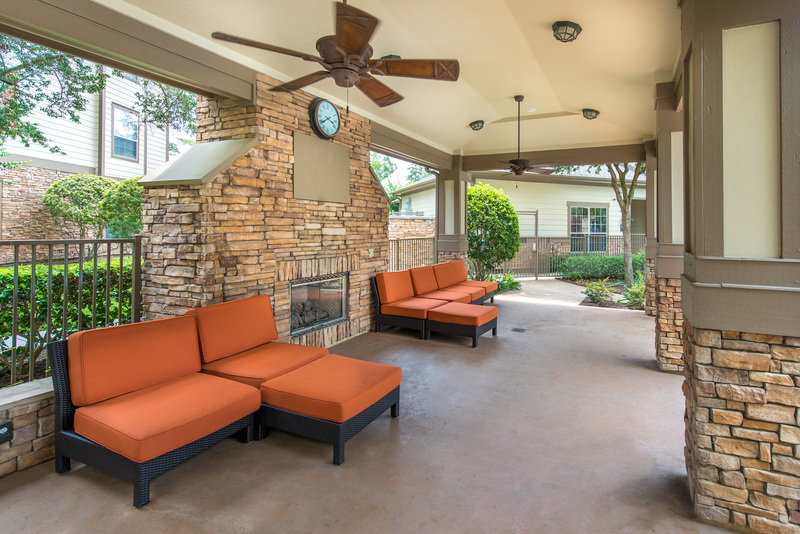 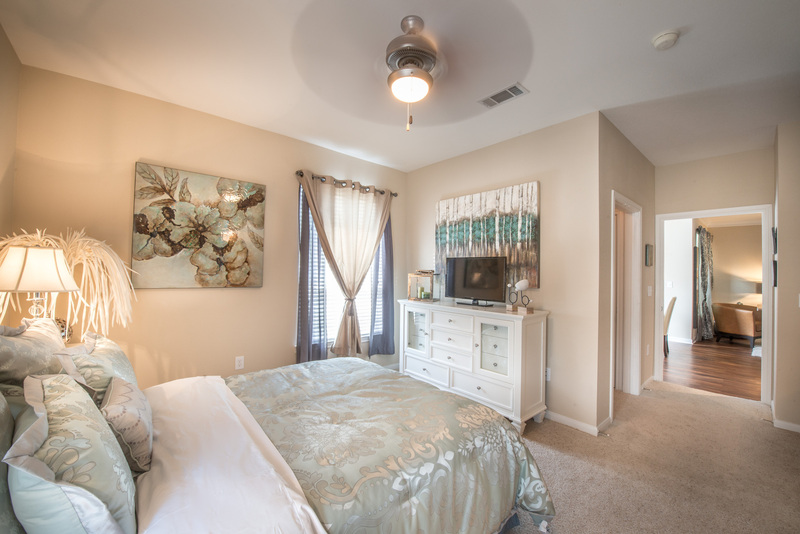 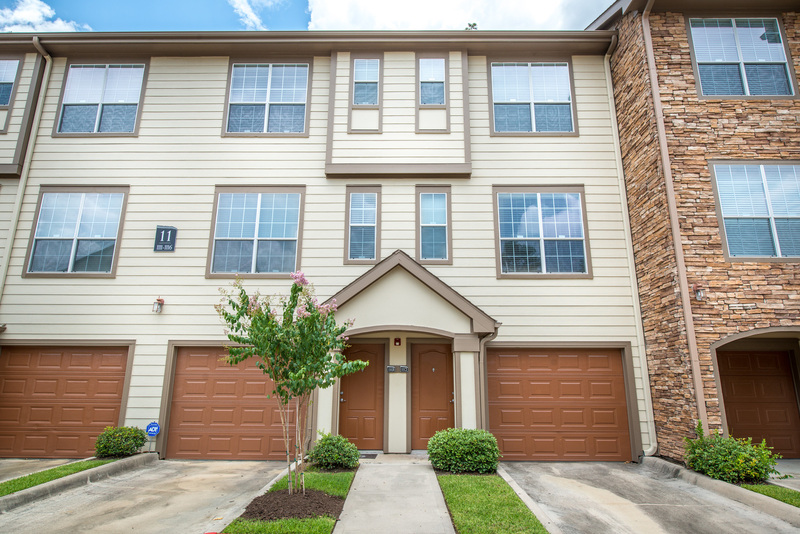 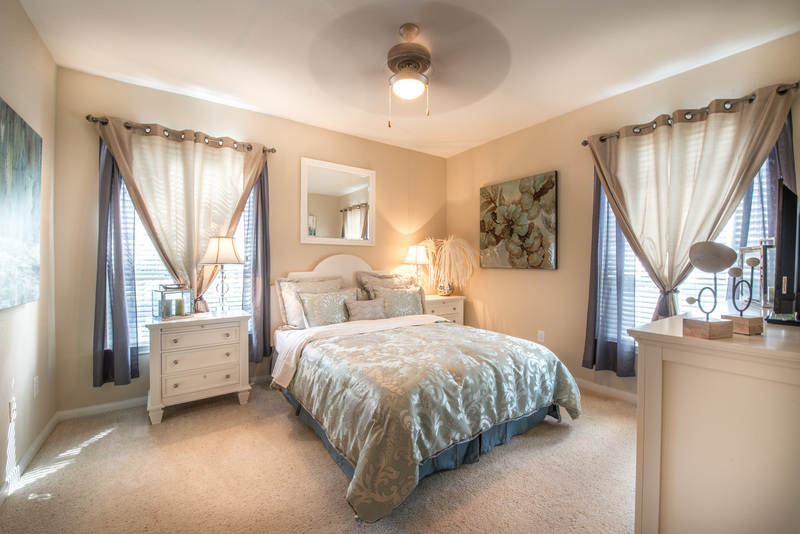 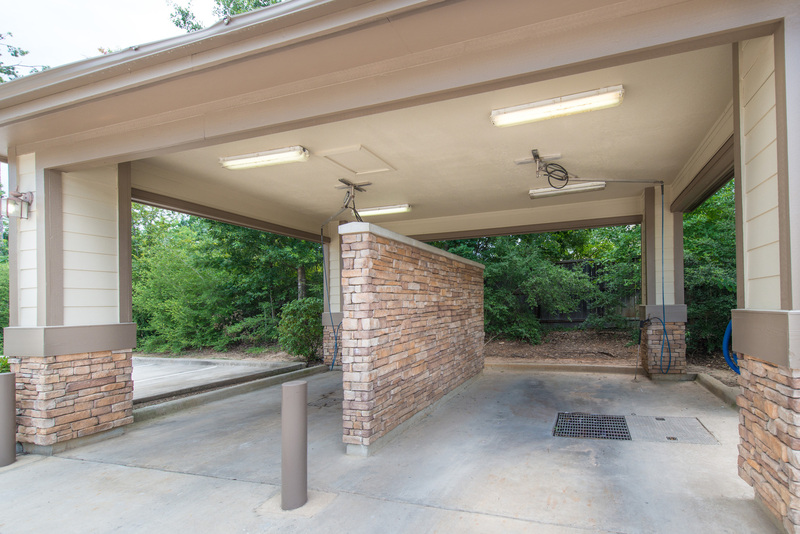 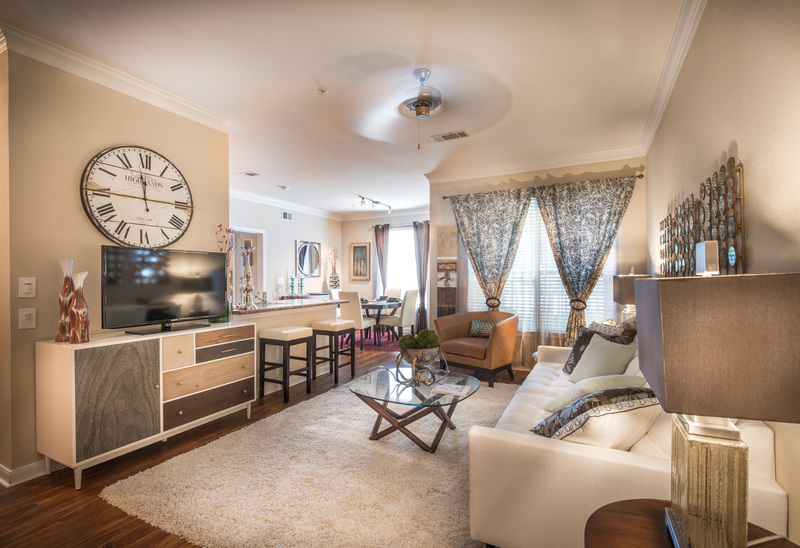 With a convenient location near The Woodlands top entertainment venues and energy employers, Avana Sterling Ridge provides the perfect blend of the peaceful suburban living only minutes from the bustling city. 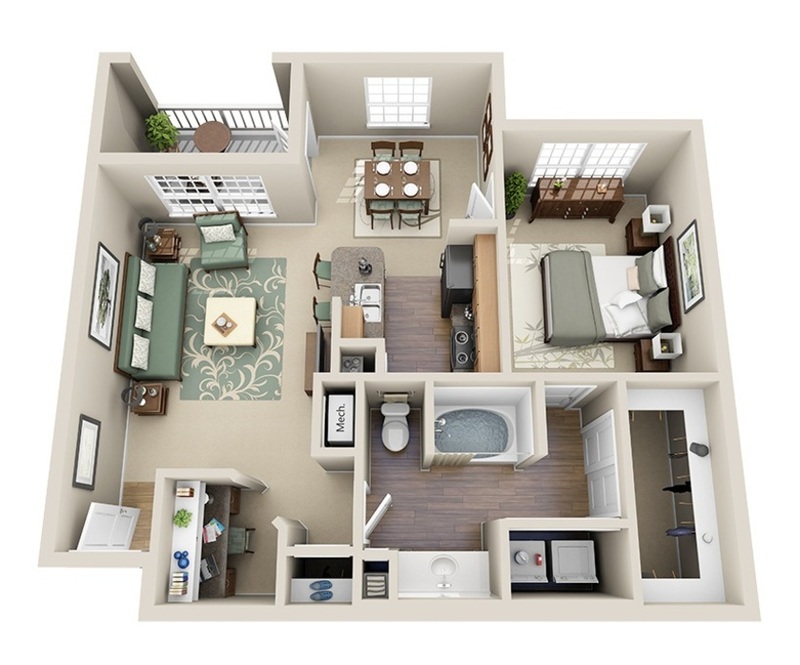 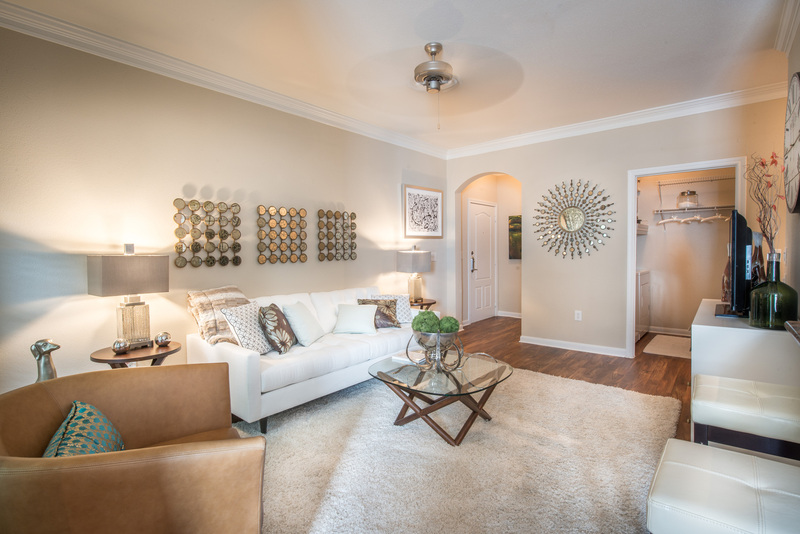 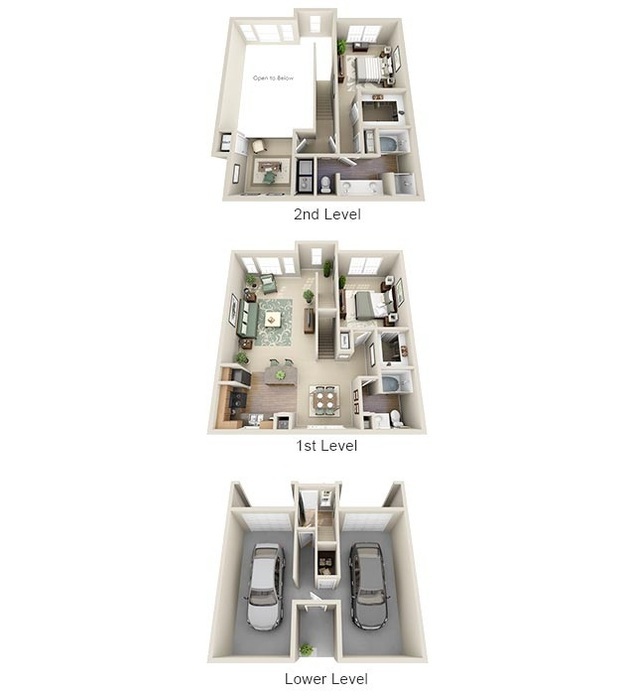 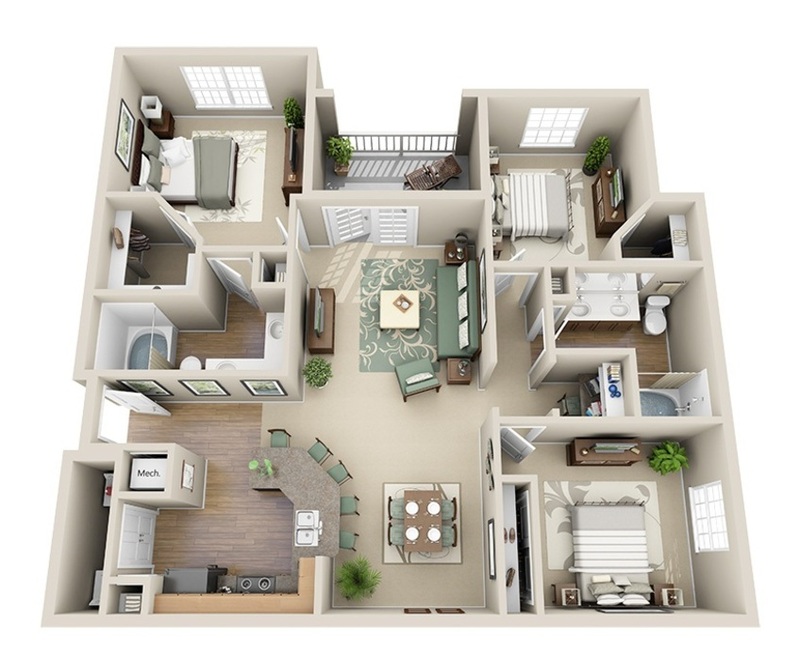 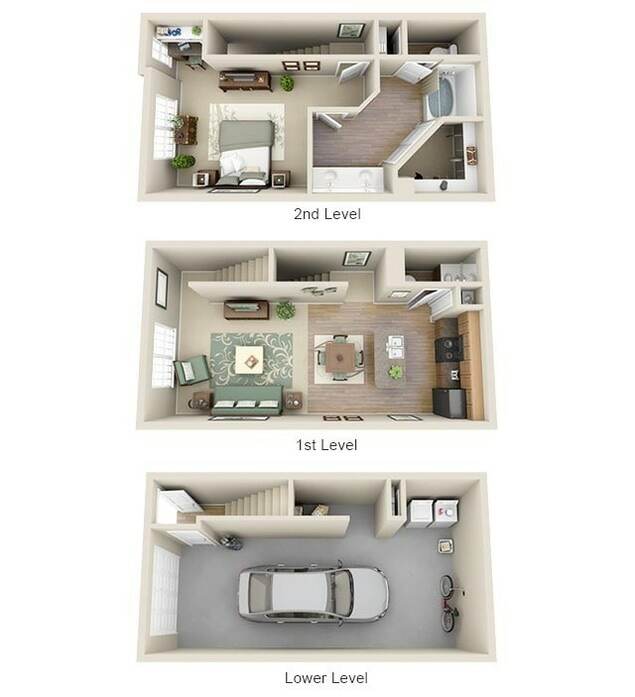 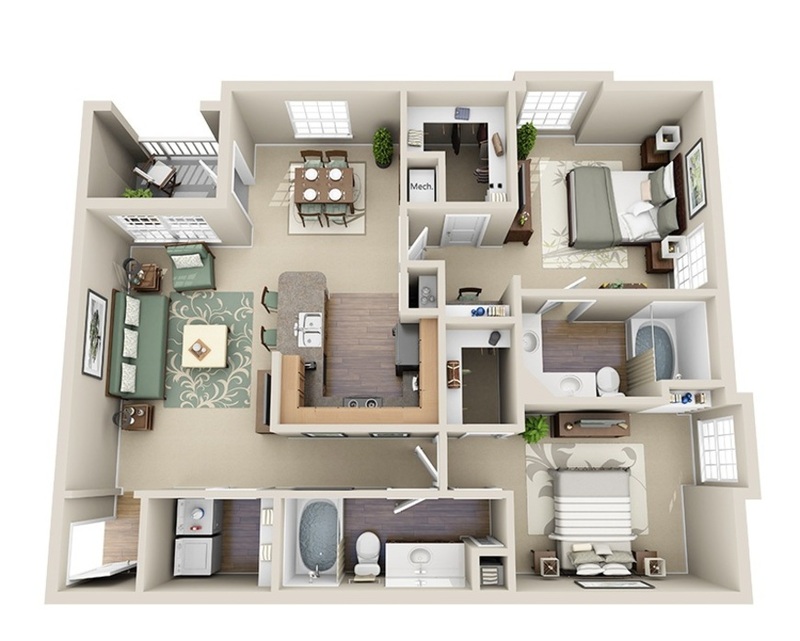 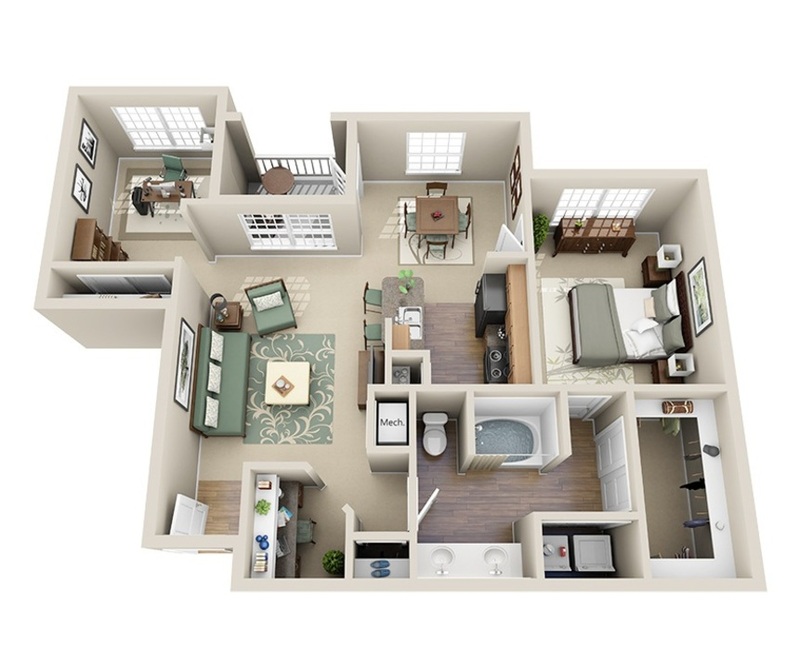 Choose from a selection of one, two and three-bedroom floor plans, as well as one and two-bedroom Townhomes where rich details, such as hardwood floors and crown molding, create an elegant & warm atmosphere throughout the common areas. 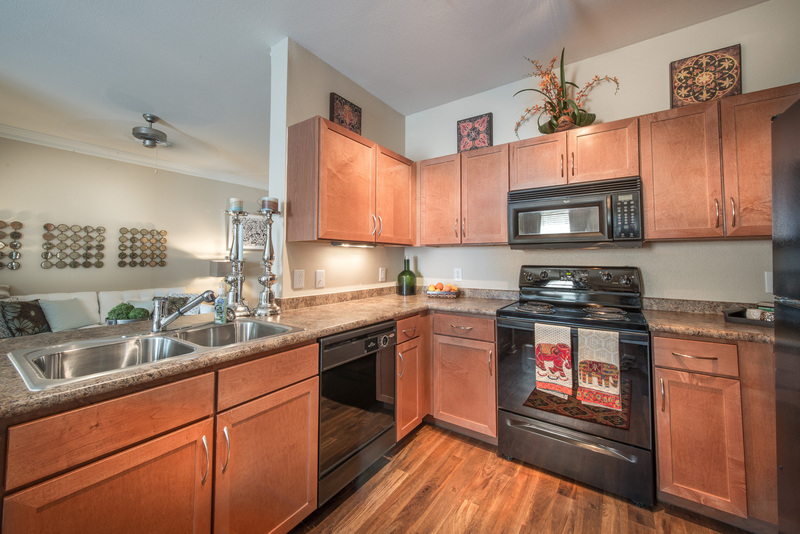 Each gourmet kitchen’s real Red Oakwood wood cabinets, pewter accents and energy efficient appliances beam under LED track accent lighting of which are open to the combined living room and dining areas. 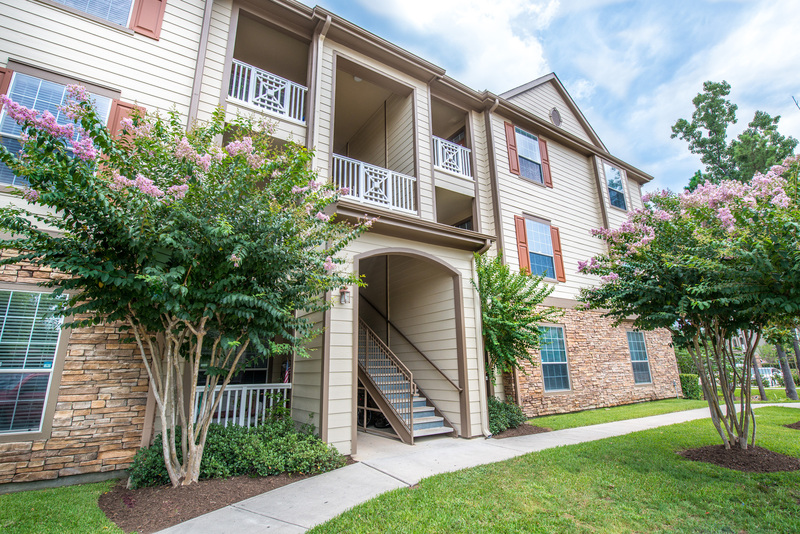 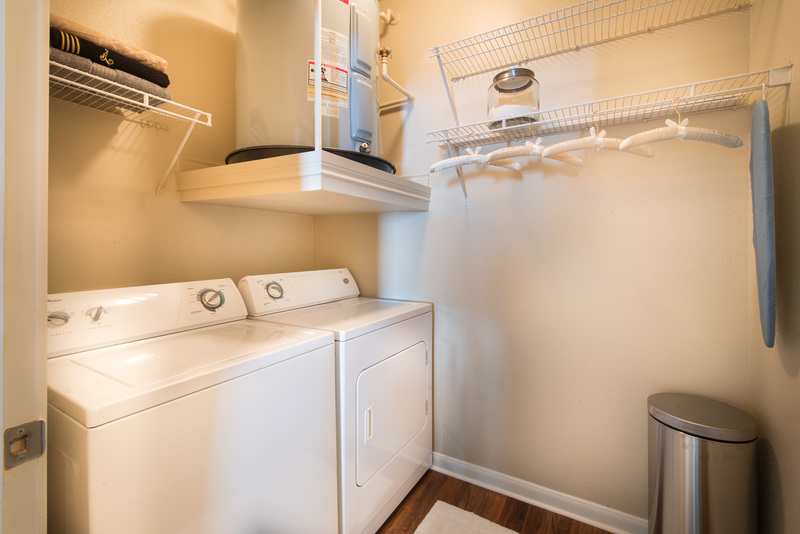 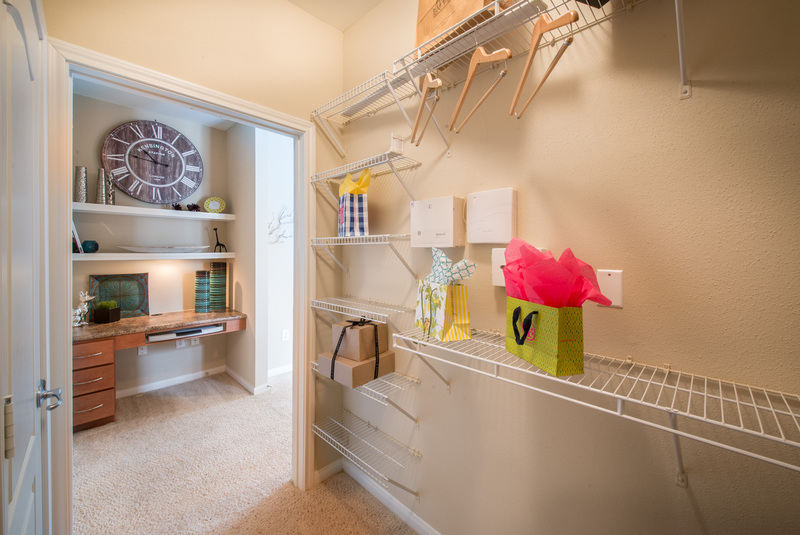 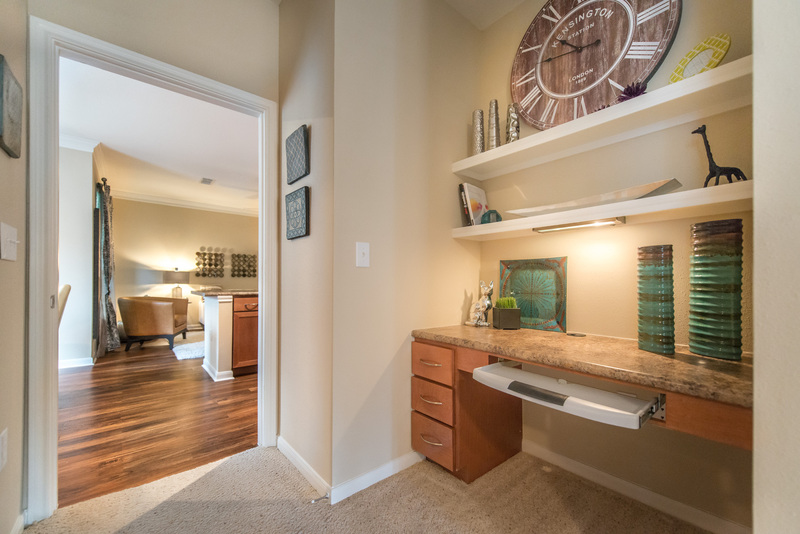 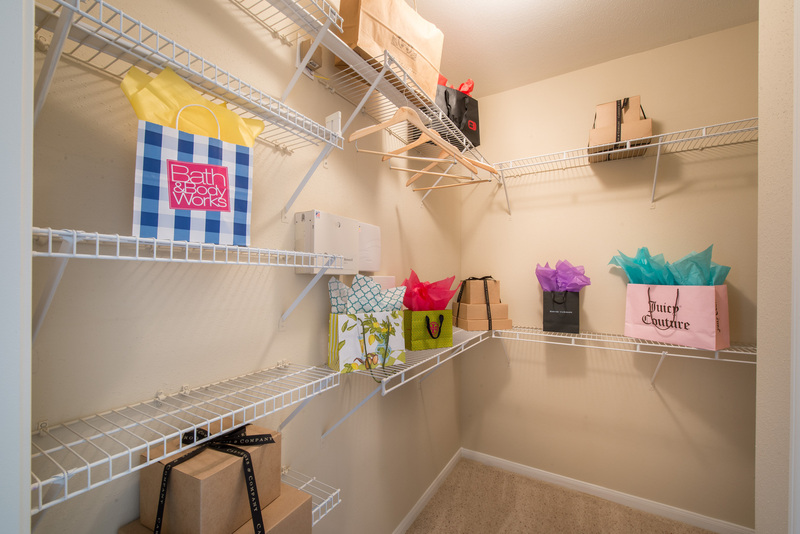 Our homes include private balconies with built in garages as well cozy bedrooms, designed with plush Berber carpeting, and spacious walk-in closets. 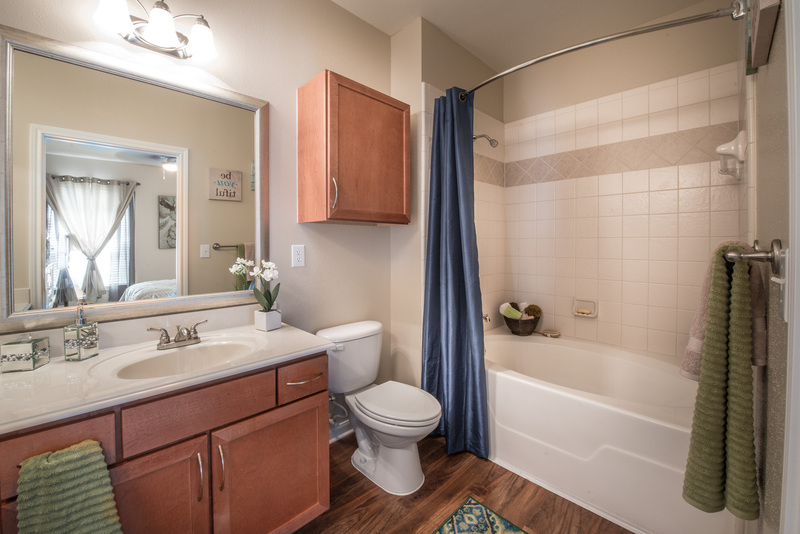 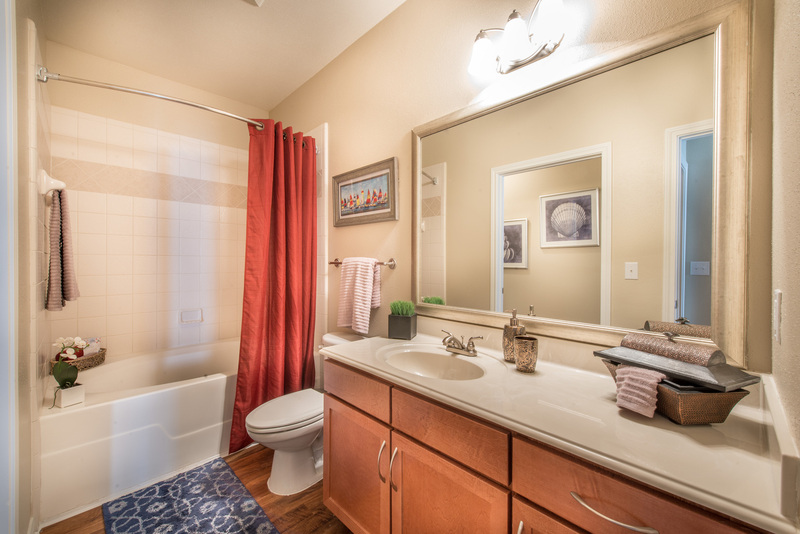 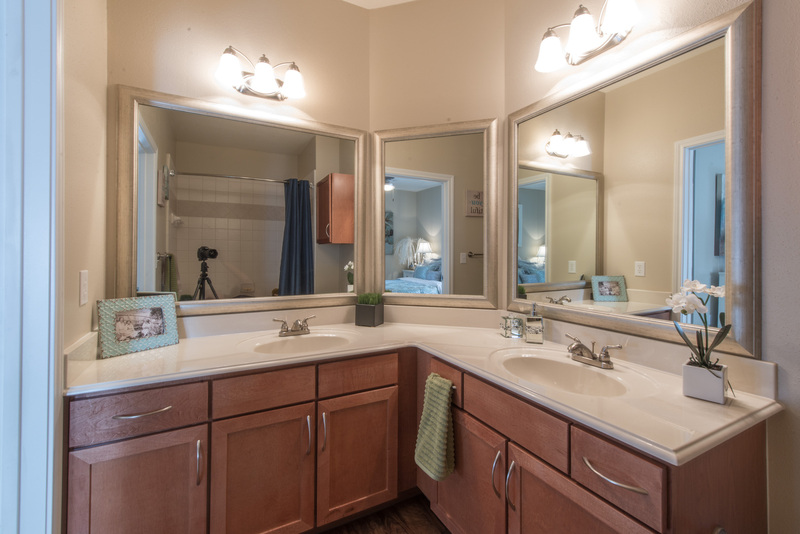 Along with garden tubs, the luxurious bathrooms include double-sink vanities with designer faucets. 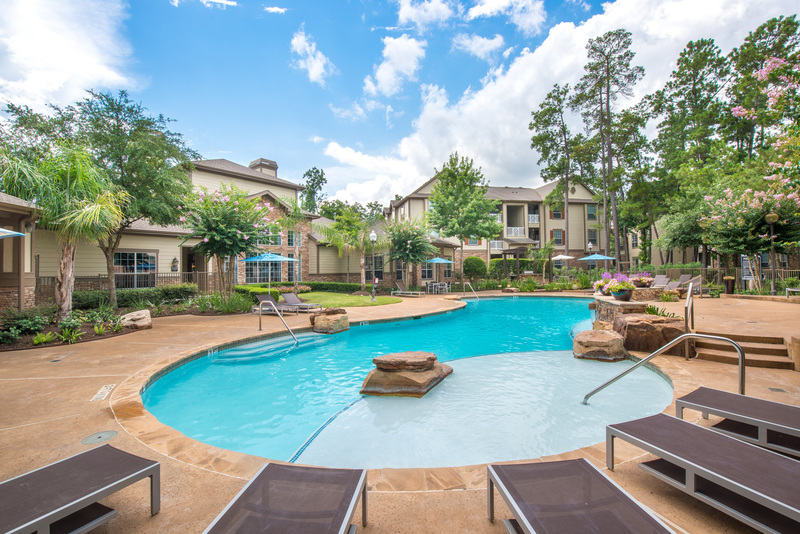 Aside from high-end apartment homes, Avana Sterling Ridge boasts a premier amenities package unmatched anywhere else in The Woodlands. 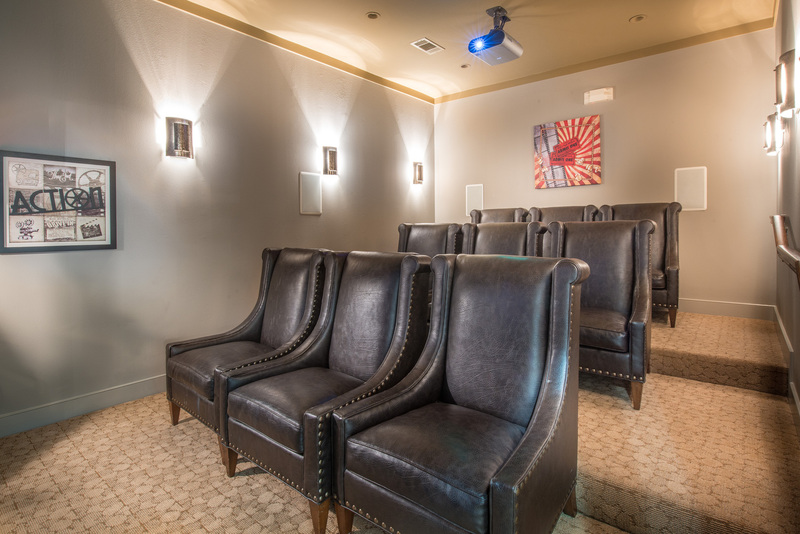 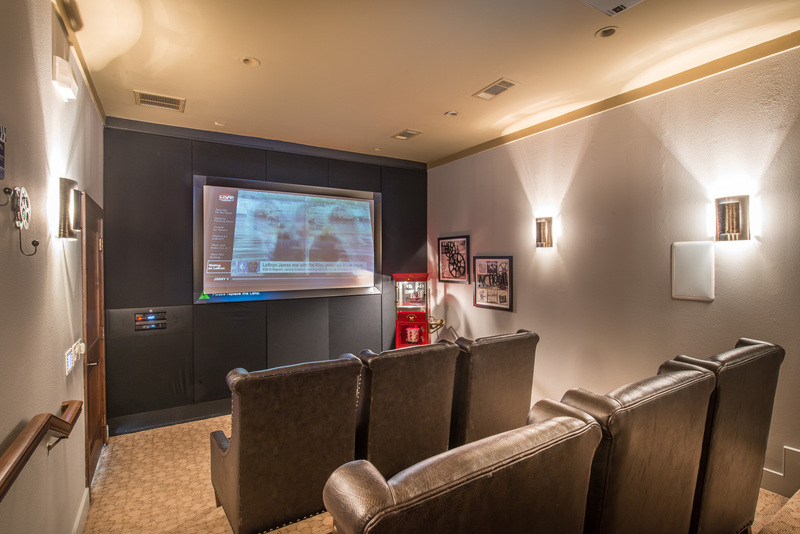 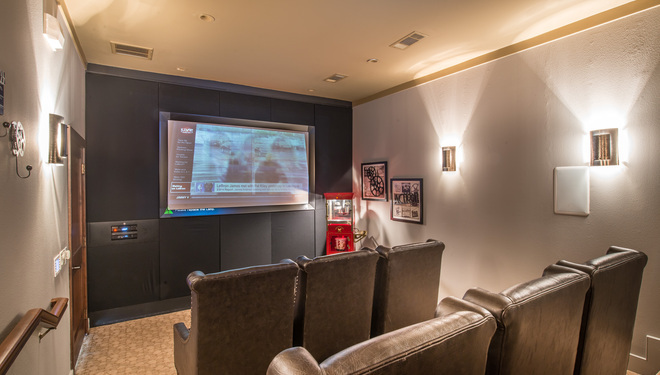 Sit back and put your feet up in the movie theater with custom seating. 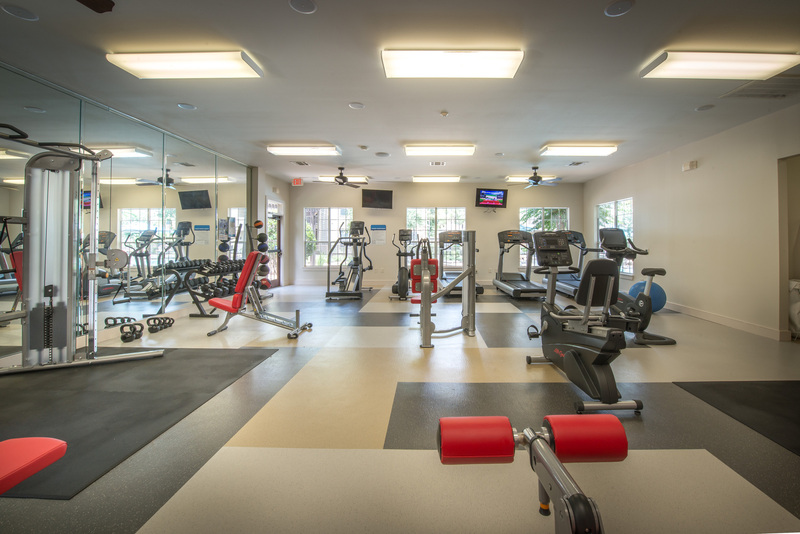 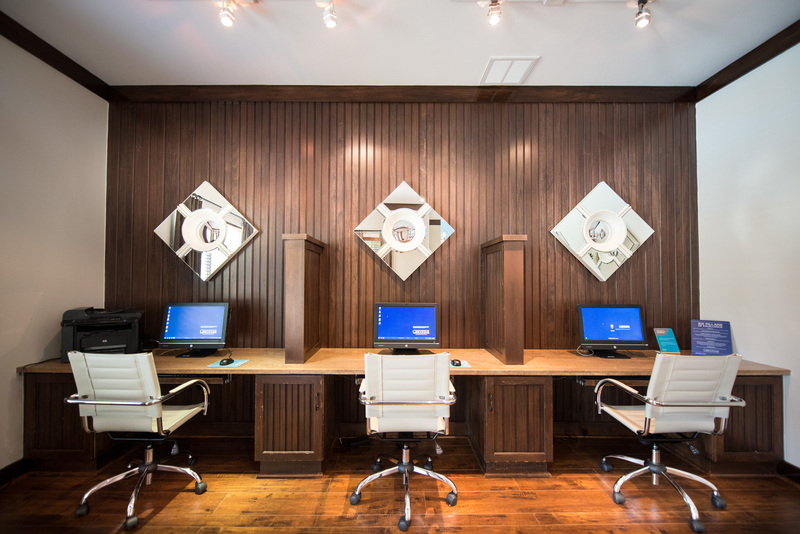 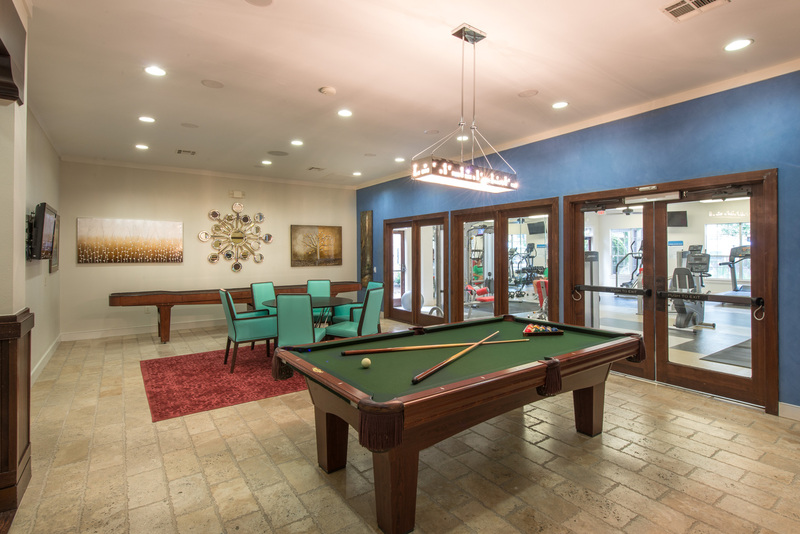 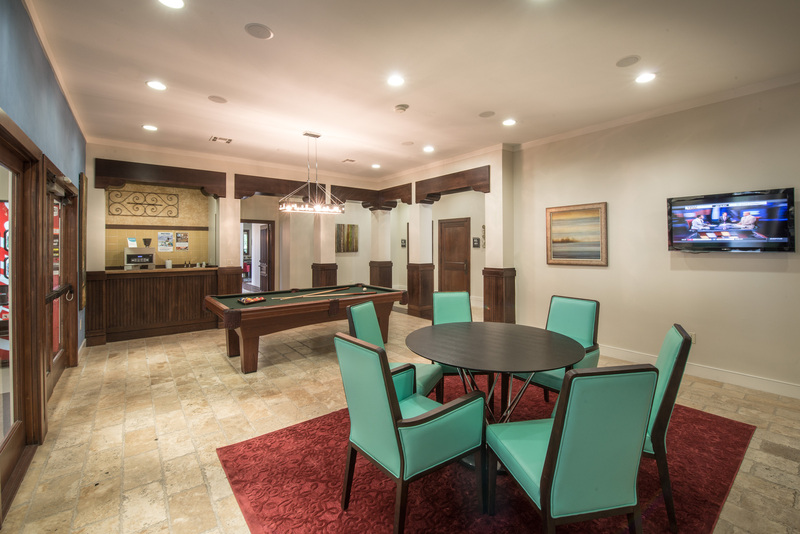 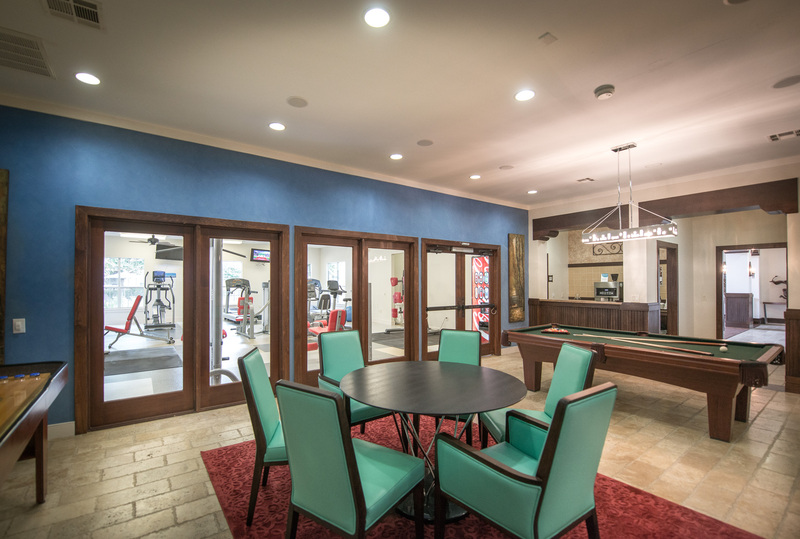 The clubhouse includes a high-tech fitness center, a business center and an entertainment room with a gourmet coffee bar and billiards. 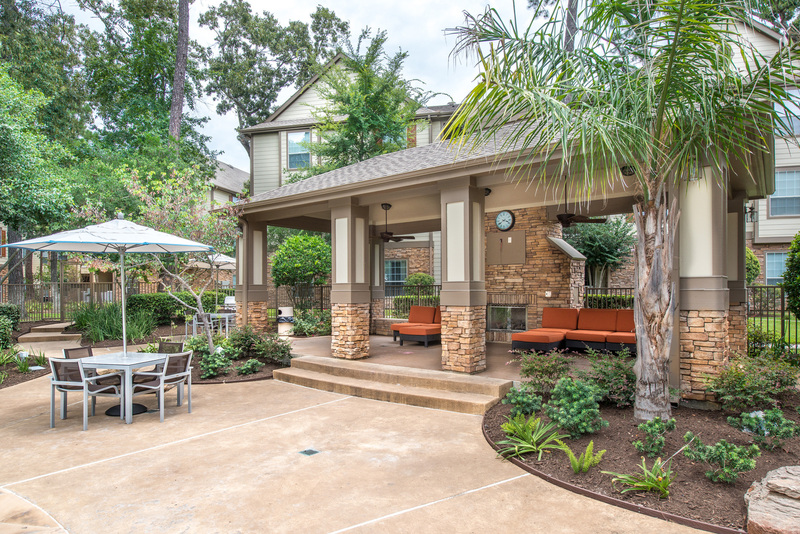 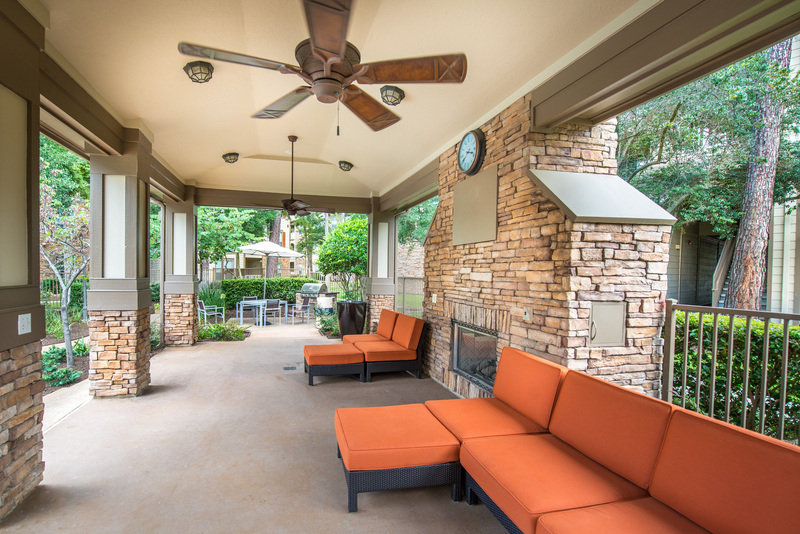 Outside the clubhouse, a cabana with a fireplace and a TV, a resort-style pool awaits only steps from hundreds of miles of hiking and biking trails and over 100 parks all while being only minutes away from the high-end shopping of The Woodlands Mall and Market Street as well as Cynthia Woods Mitchell Pavilion. 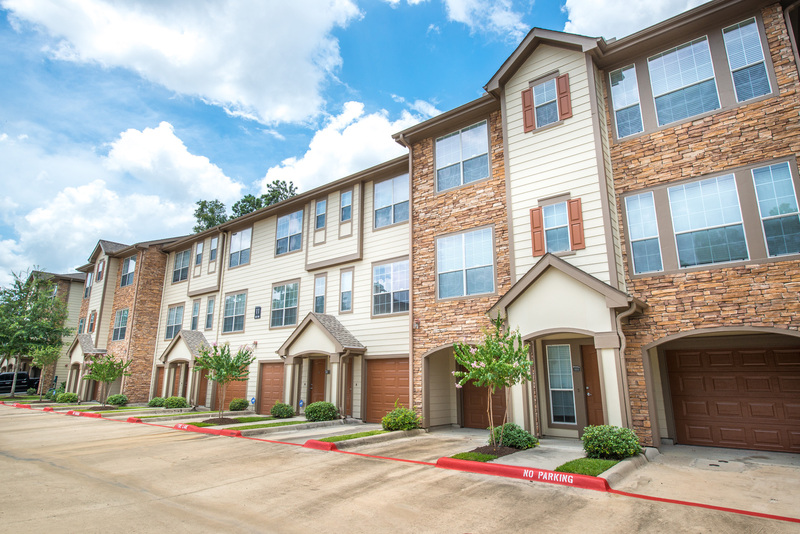 Residents also appreciate the easy access to FM 1488, FM 2978 with Interstate 45 less than 15 minutes away. 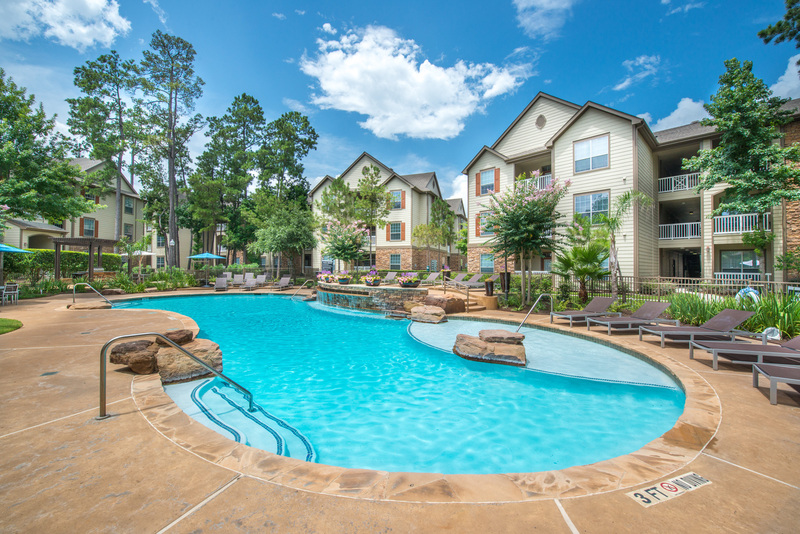 Baker Hughes, Exxon Mobil, Anadarko Petroleum, St. Luke’s & Memorial Herman are just a few of the major employers located only minutes from our community with the highly demanded schools of Conroe ISD; Galatas Elementary, Mitchell & McCullough Intermediate as well as The Woodlands High School practically in your back yard. 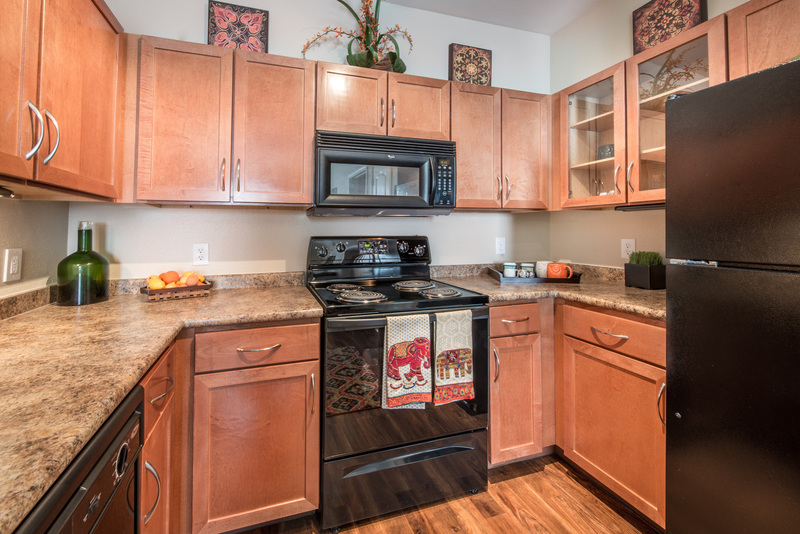 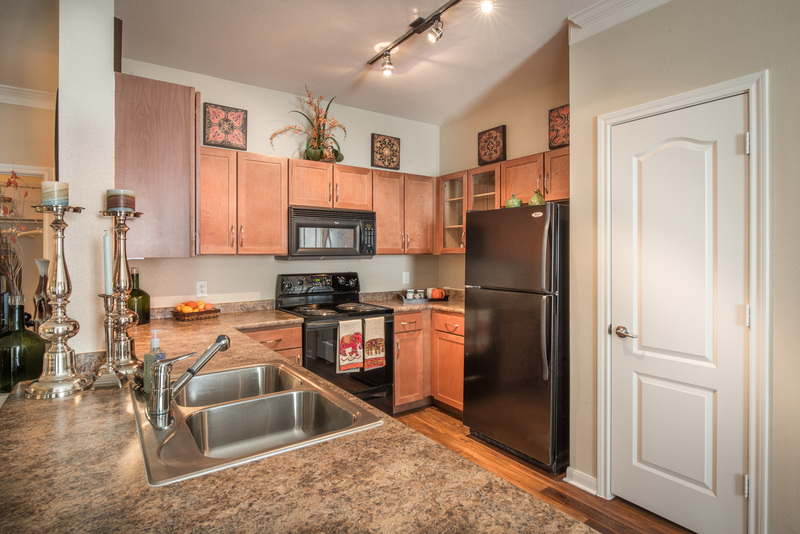 This apartment home features cherry cabinets in the kitchen, ceiling fans, custom track lighting in the dining room and garden tubs. 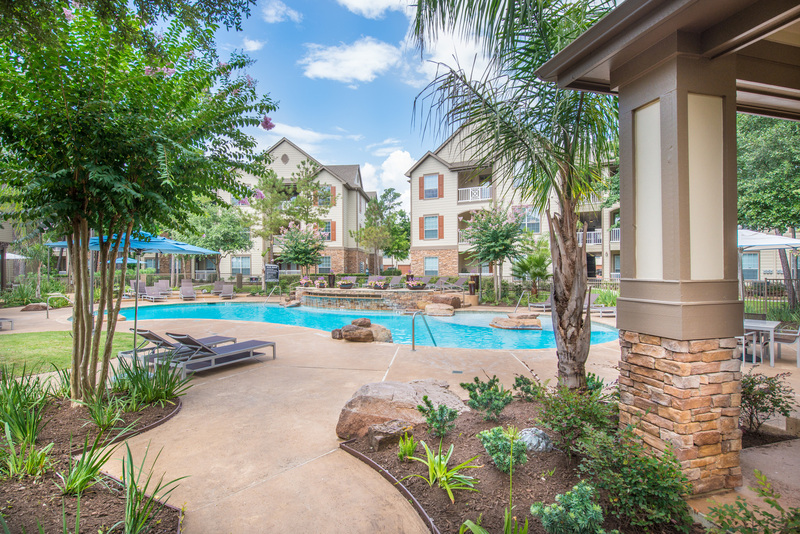 Pet Policy: We welcome two pets per apartment home. 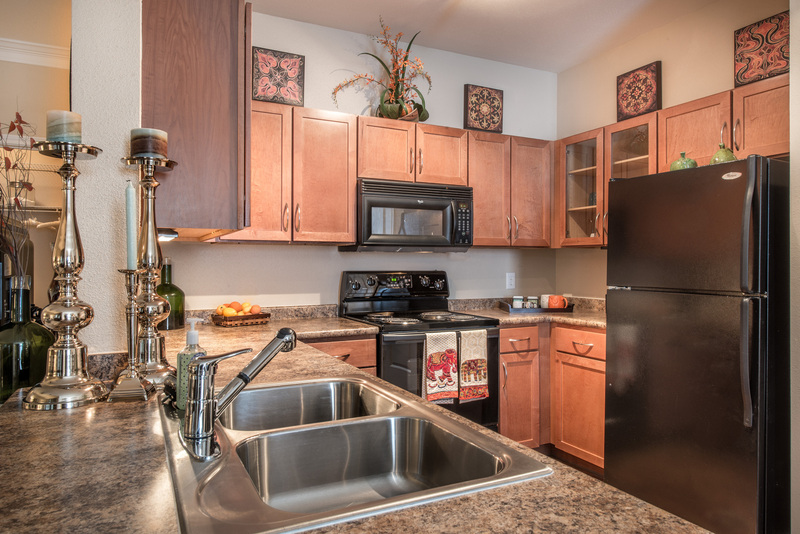 There is a $150 pet deposit, a $250 non-refundable pet fee and $35 monthly pet rent. 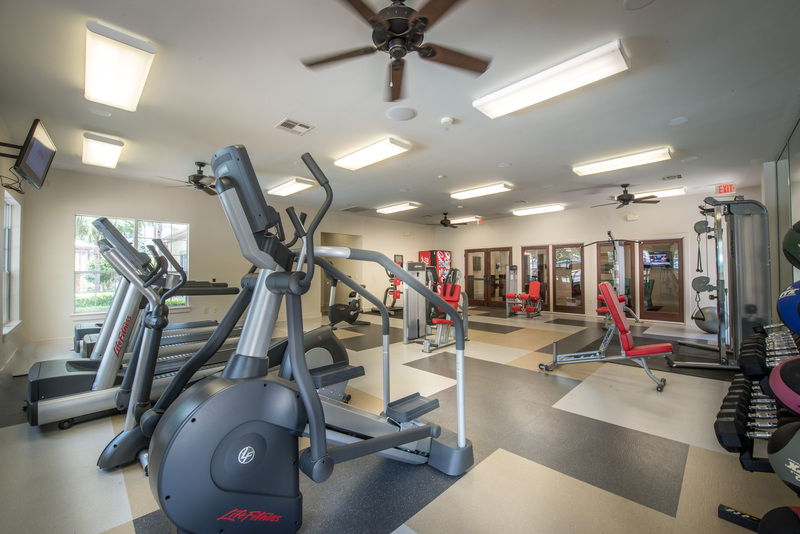 The weight limit is 99 pounds and aggressive breeds are prohibited. 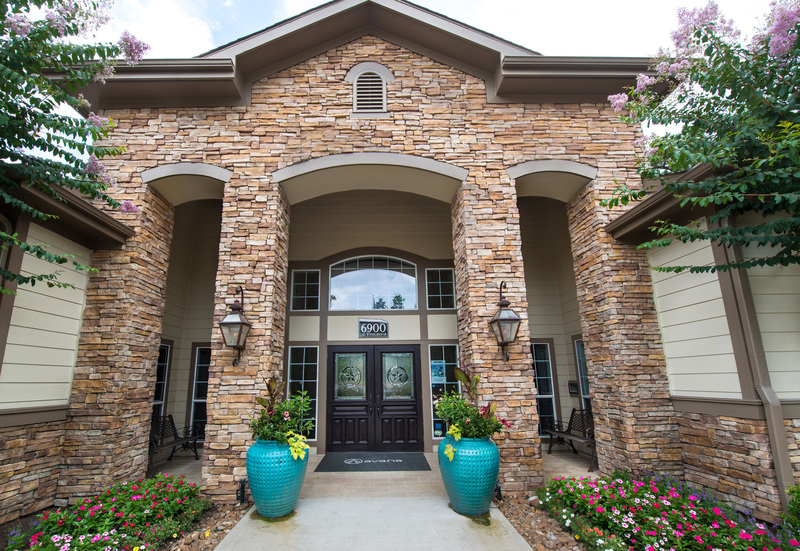 Please contact the leasing office for breed restrictions and complete pet policy.